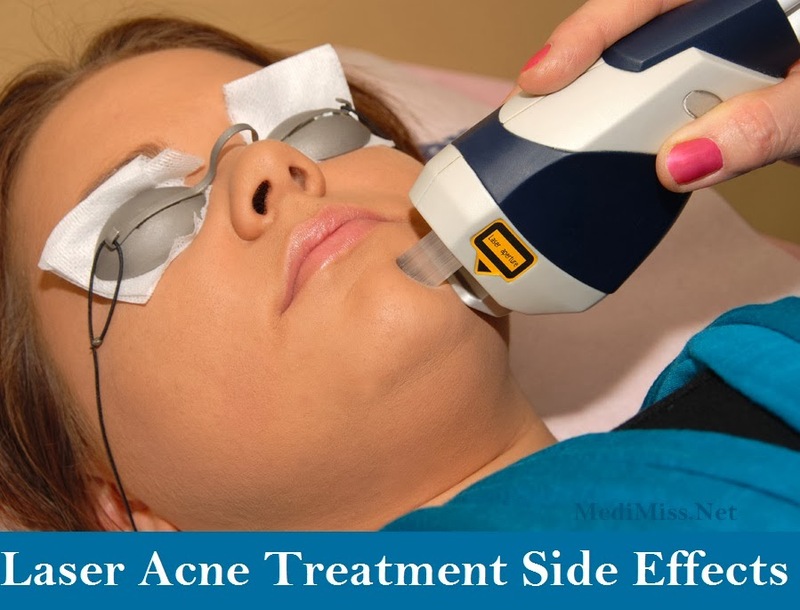 Laser acne treatment is one of the safest and most effective ways to treat your acne. The lasers are very precise, so only the treated skin will be affected. Also, a cooling gel will be used on the treated skin, so it will not become burned. Many patients find the procedure painless; some even schedule their treatments during their lunch breaks. Although you can return to your normal activities immediately following the treatment, you may want to schedule treatments for a time when you will have a few days to recover, if you are worried about the side effects. The treatment itself may be a little uncomfortable, but not painful. Many patients describe it as similar to the feeling of a taut rubber band hitting their skin, for example. Particularly if you are having your laser treatment in a sensitive location, such as your face, you may be offered anesthetic creams to make you more comfortable during the procedure. Because laser acne treatment is a medical procedure, there are a few side effects, luckily, with laser acne procedure these are very mild. After the procedure, the treated skin may be red and a little swollen. You may wish to plan your treatments around big public functions you must attend, but otherwise you can return to your daily life right after the session. For best results, you should not cover your skin with makeup until it has fully healed, as this can irritate it. Other than your red and tender skin, there is no recovery time for laser acne treatment. There are also a few things you can do to lessen the severity of your side effects. Your doctor may prescribe medications or creams to help alleviate redness and swelling. If this is the case, make sure to take them exactly as prescribed. Avoid scrubbing or scratching your skin, as this can lead to further irritation. Be sure to stay out of the sun for several weeks following your last treatment session, because treated skin is susceptible to sun damage. To further minimize your risk of side effects or complications, make sure you have chosen a reputable doctor. Though the side effects of laser treatment for acne are mild, an experienced doctor will lower your risks even further. To find a reputable doctor, you may want to call your state's medical board to ask about any complaints against the doctors you are considering. Before the treatment, ask your doctor lots of questions, particularly about their training and experience using lasers for acne treatment. Your doctor should explain the side effects and risks associated with laser acne treatment before allowing you to commit to the procedure. Laser acne treatment is very popular, and for good reason. Laser treatments are very effective, and come with minimal side effects, other than redness and swelling, there are no common problems associated with the treatment.